Word Clouds, also known as ”tag clouds” and “keyword clouds” are a unique and powerful visual depiction of words. In this article you can learn how to create them online for free. Word cloud is a cloud design made from words of tags and the design is based on popularity and frequency of each keword. The more each keywords appear in a chosen text the bigger this keyword will be in a word cloud. Word clouds are really popular in stock photography business, design, blogging and affiliate marketing. It's a trend that join design and information together. 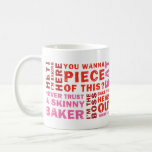 Some use word clouds as logos, some add word clouds to articles and some add them to products and broschures. In this article you can find some nice examples of word clouds, find some great Zazzle products featuring word clouds and what is the most important - learn how to make word clouds yourself. 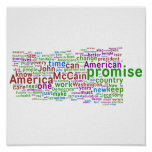 You can make awesome word cloud online for free with a great program called Wordle. There are some other interesting applications online that allow you to make word clouds and they are listed in the link section in this article. But I will describe Wordle in particular because I find it the best and really useful. Wordle is the best program to make word cloud online! Wordle is the most popular and most used word cloud generator online. And it's really easy to use and really awesome. You can create cool word cloud by simply entering bunch of keywords into the text area and the application will generate a cool word cloud that you can then customize until you like the design. You can also enter keywords by pasting the RSS link of any blog or by importing keywords from your Delicious bookmarks. It's that awesome! As I stated before, a lot of Wordle users and designers find it pretty difficult to save their designs made with Wordle as a JPEG file to their computers for future use or printing. Wordle doesn't offer an option to save the image you make directly from Wordle application but there is a simple and quick way that will let you to save your Wordle world cloud on your hard disk as a JPEG file. Just follow the steps below. To save the Wordle word cloud to your computer you can either use Print Screen option (Prt Sc on your keyboard) or print the image in a PDF document. Print Screen option is a nice choice if you intend to use your world cloud in small resolution. If you want to get a best version of the image you make I don't suggest you to use this option because you will get a small image by using Print Screen option. If you want to get the best quality of your newest world cloud you should definitely use print to PDF option. The process is described below. If you don't want to create word clouds yourself you can buy them on major stock photography sites for really affordable prices or get them for free on free stock agencies online. Below is the list of few of these sites. Paid and free ones. Do you like word clouds? Custom binders that you can design yourself using your own artwork, photoraphy and or text messages. Creating and designing a Zazzle poster using Photoshop Elements 8 to jazz the design up and make it more professional. Here's a great selecion of belt buckle skull designs with flames and snakes and many other desgin details - all at great prices. I didn't know you can do this easily. I've seen a lot of such designs and I thought it's the photoshop magic. Thanks for putting this up. I really did not know much about word clouds before this article. I will have to check wordle out. A tutorial on how to use the clone stamp to enhance and fix photography pictures.